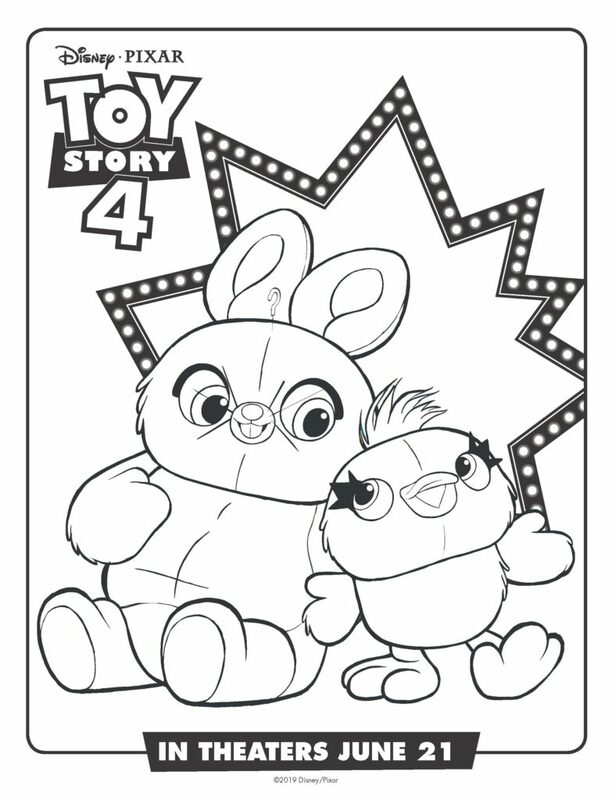 Grab these Toy Story 4 printable coloring sheets and get ready to see the new movie coming out June 21, 2019! This post contains affiliate links. We may earn a small commission if you make a purchase. I think I'm looking forward to seeing this more than my kids. Don't get me wrong, they are excited about it too, but I have some history with these movies. It's almost hard for me to believe that the first Toy Story movie came out in 1995. Wait, really? 1995? It doesn't feel that long ago. I was only a 14 then. I'm going to let that sink in for a moment. The first movie was awesome and I loved it, but as I've grown up (just like Andy…) the movies have impacted me differently over the years. Toy Story 3 definitely hit me in the emotions, especially since it came out in 2010. The year I became a mom. Even though we've watched all of the Toy Story movies with our kids, it's pretty awesome to share the newest one right along with them. 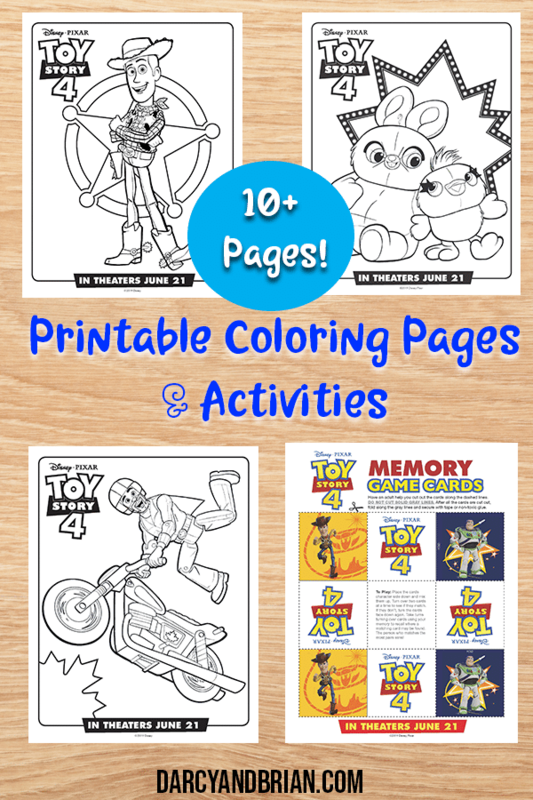 This 17 page printable activity packet includes coloring pages of your favorite Toy Story 4 characters, such as Woody, Bo Peep, Jessie, Buzz Lightyear, plus a few new characters. There is also a dot to dot page, a couple recipes for road trip snacks, and a printable Toy Story matching game. 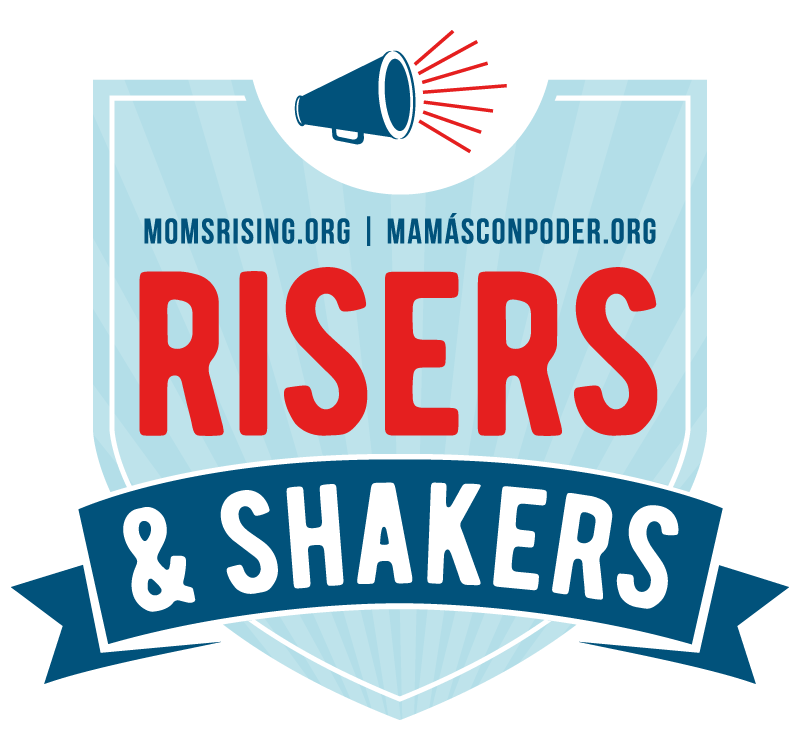 You can save these activities and print them out using your home printer. Grab some colored pencils and use these printable Toy Story activities to keep your kids busy after school or before a fun family movie night. 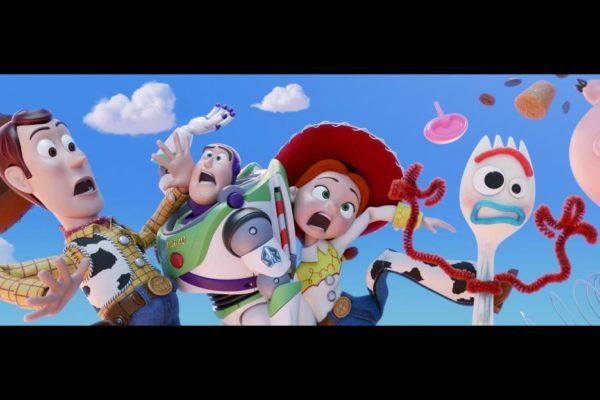 After seeing Toy Story 4, use these activities and coloring pages as a way to engage your kids in a discussion about the movie. Woody (voice of Tom Hanks) has always been confident about his place in the world, and that his priority is taking care of his kid, whether that’s Andy or Bonnie. So when Bonnie’s beloved new craft-project-turned-toy, Forky (voice of Tony Hale), declares himself as “trash” and not a toy, Woody takes it upon himself to show Forky why he should embrace being a toy. But when Bonnie takes the whole gang on her family’s road trip excursion, Woody ends up on an unexpected detour that includes a reunion with his long-lost friend Bo Peep (voice of Annie Potts). After years of being on her own, Bo’s adventurous spirit and life on the road belie her delicate porcelain exterior. As Woody and Bo realize they’re worlds apart when it comes to life as a toy, they soon come to find that’s the least of their worries. 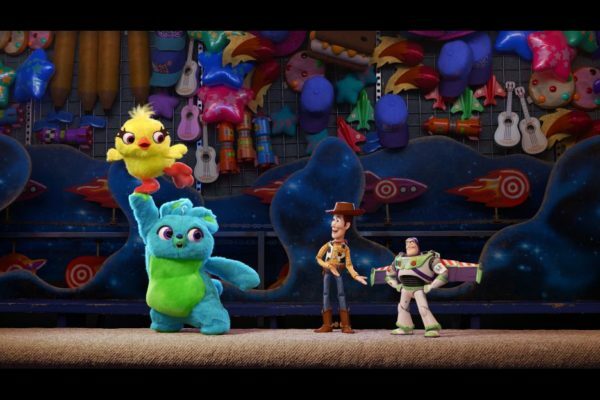 We'll see plenty of familiar faces in Toy Story 4, but there will be several new ones as well. Here are some of the new characters we'll be meeting. GABBY GABBY (voice of Christina Hendricks), an adorable, talking pull-string doll from the 1950s. But unfortunately for her, a manufacturing defect in her pull-string voice box has left her sounding anything but adorable. She has spent more than 60 years forgotten in the depths of a jam-packed antique store—her only companions are a band of voiceless ventriloquist dummies. Gabby Gabby knows someone will want her if only she can find a working voice box to repair hers. BENSON is a classic, antique ventriloquist dummy, and Gabby Gabby’s right hand. He leads a small group of ventriloquist dummies that serve as Gabby's henchmen. With no person to give them a voice, these silent toys patrol the antique store with a looming quietness that is inherently unsettling. DUKE CABOOM (voice of Keanu Reeves) is a 1970s toy based on Canada’s greatest stuntman. Riding his powerful Caboom stunt-cycle, Duke is always prepared to show off his stunt poses with confidence and swagger. However, Woody learns quickly that Duke has an Achilles heel: He has never been able to do the awesome stunts advertised in his own toy commercial. For years, Duke has been sitting in an antique store, constantly reliving the failures of his tragic past. GIGGLE MCDIMPLES (voice of Ally Maki) is a miniature plastic doll from the 1980s Giggle McDimples toy line. Giggle is Bo Peep’s best friend. Small enough to perch on Bo’s shoulder, Giggle is Bo’s confidant, supporter and advisor. 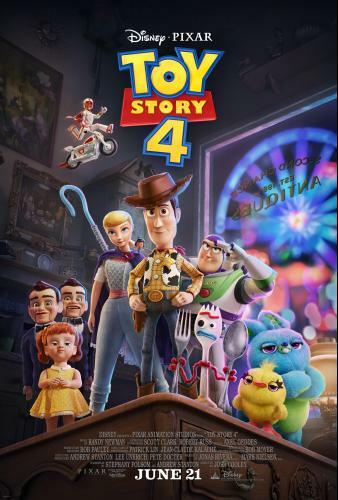 Toy Story 4 is directed by Josh Cooley (“Riley’s First Date?”), and produced by Jonas Rivera (“Inside Out,” “Up”) and Mark Nielsen (associate producer “Inside Out”), Disney·Pixar’s “Toy Story 4” ventures to U.S. theaters on June 21, 2019.